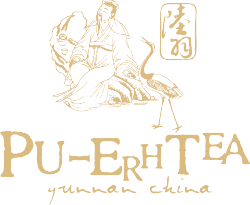 Pu'er raw tea with fragrant jasmine aroma. 7 pieces of 100g mini cake tea in a container. 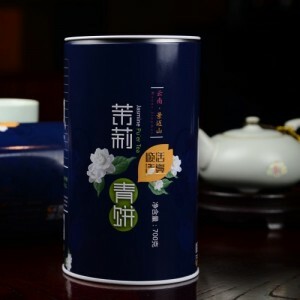 The tea， which features a mellow yet refreshing taste and is good for long-term storage， is made from choice big-leaf raw tea leaves in the Ancient Tea Mountain of Jingmai and mingled with select jasmine petals from Yuanjiang County in Yunnan until fragrant jasmine aroma fully permeates through the tea. 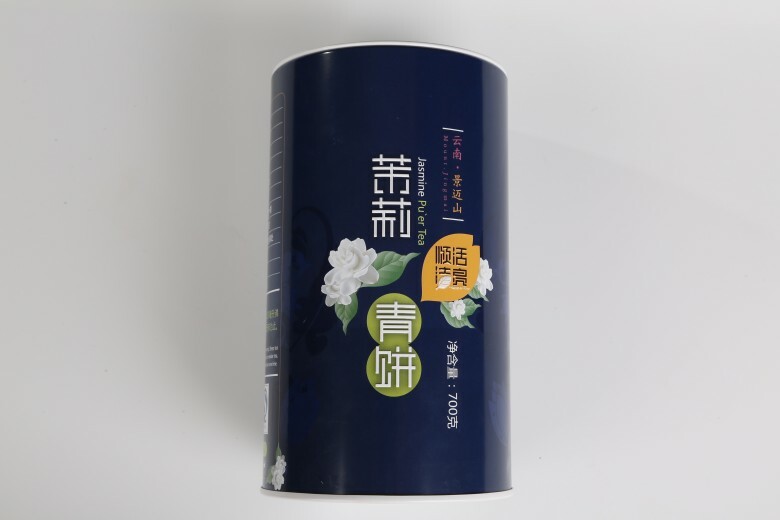 The taste of ancient big-leaf tea permeated with jasmine aroma further ripens and evolves with time, thus a very pleasing and calm sweetness dominates on the palate. 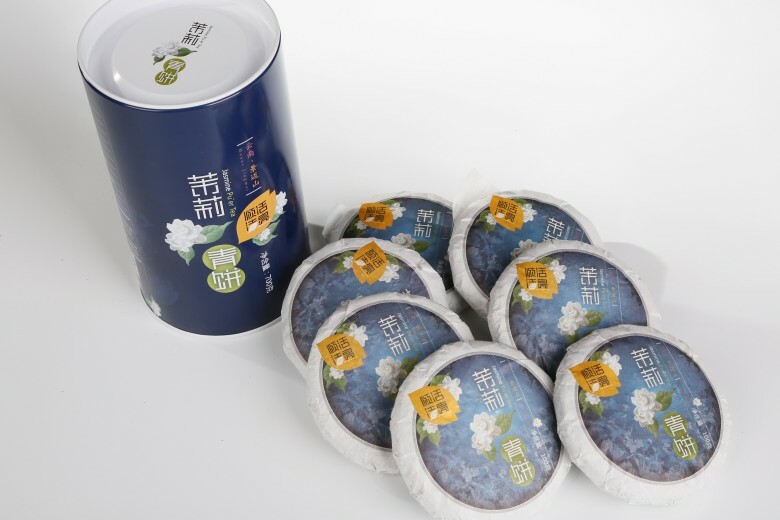 There are 7 pieces of mini cake tea, each weighing 100 grams, in a container. 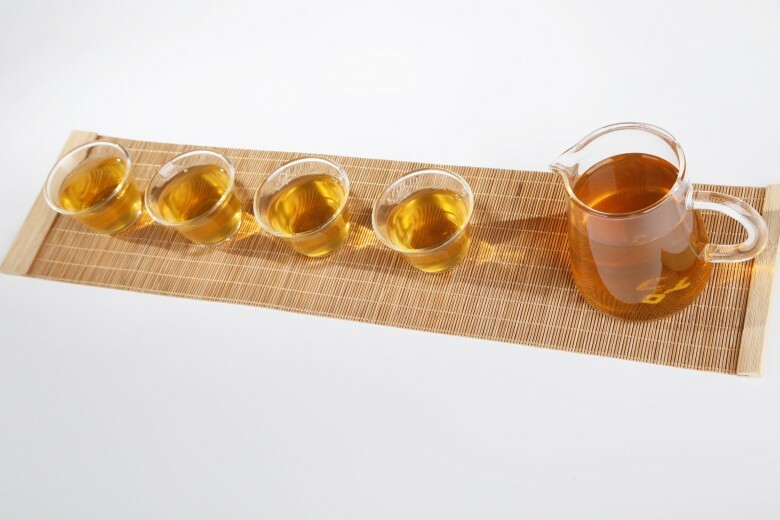 Tea knife may be used to obtain tea leaves of 3-5 grams for one serving. Steep tea leaves in 250 ml hot water for 3 minutes and serve. To make stronger or weaker tea, adjust steeping time accordingly. 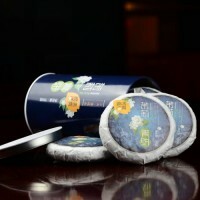 The tea leaves may be brewed more than one time.